The three elections that took place in March in India’s north-east have produced spectacular outcomes. The BJP has put an end to a twenty-year-old communist regime in Tripura; it has come to power in the state of Nagaland as part of a coalition government; and it is also part of the new five-party coalition in Meghalaya led by Conrad Sangma, son of former Chief Minister P.A. Sangma. 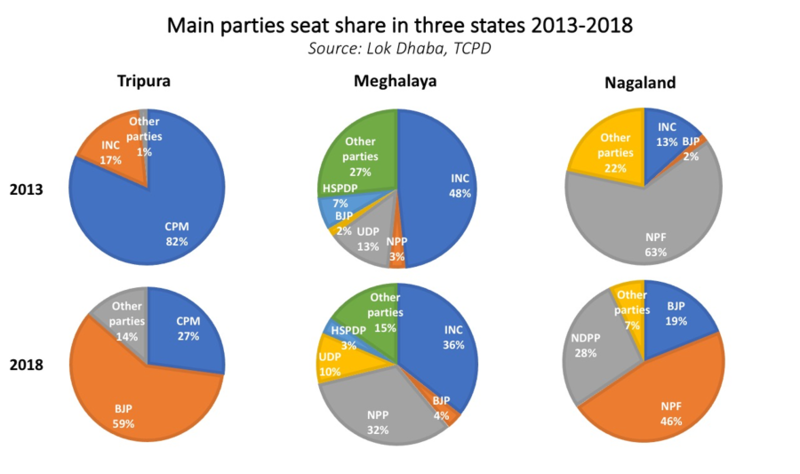 After last year’s strong performance in Assam and Manipur, the BJP is now in power, either on its own or as a coalition partner, in five of the seven Indian north-eastern states. These elections have sent the message that the BJP can still expand beyond the limits of the Hindi belt by articulating a discourse focused on development, welfare and protection. The other remarkable feature of these three elections is the complete debacle of the Congress Party. Not only has it lost two chief ministerships, but it has also seen its vote share collapse to unprecedented lows. In Tripura, it has lost nearly 35 percent of the vote share, while the BJP has shot up to 43 percent from 1.5 percent. In Meghalaya, it has lost 6 percent of the vote share, while the BJP has gained 8 percent. In Nagaland, the Congress has lost 23 percent of the vote share, against a net gain of 12.7 percent for the BJP. This poor performance is hardly surprising given the fact that the Congress had essentially refrained from campaigning actively in any of these states. It may have tried to help the BJP’s opponents by withdrawing itself from the scene. Ironically, their collapse helped propel the BJP to power, which managed to consolidate the opposition vote in Tripura and Nagaland (in alliance with the NDPP). Had the Congress attempted to remain a player in these three races, it would have prevented the BJP from winning its majority in Tripura and might have affected the outcomes in the two other states. These elections are symbolic and important for the BJP. After a disappointing victory in Gujarat and a stream of by-election defeats, the BJP needed a confidence boost, especially ahead of a tough contest against the Congress in Karnataka, the last state along with Punjab where it has some remnants of grassroots organisation. 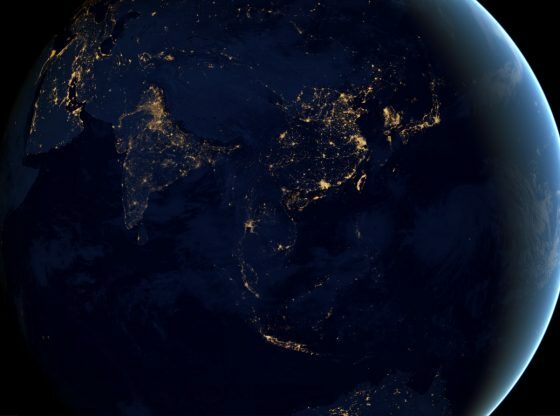 The symbol of toppling India’s last longstanding communist regime also matters. The ideological chasm between the BJP and the Left has always been wider than that with the Congress. In the days that followed their victory, BJP party workers brought down a statue of Lenin as a way of signalling the depth of the change of regime. More importantly, these elections matter as they demonstrate that the BJP continues to be capable of conquering new territories. The saffron party has a tight majority in the Lok Sabha (down from 283 to 273 out of 543, due to lost by-elections) and faces the prospect of not being able to repeat its 2014 performance in the Hindi belt, where it won 85 percent of the seats. The BJP has no choice but to conquer new seats if it wants to reprise its 2014 performance. 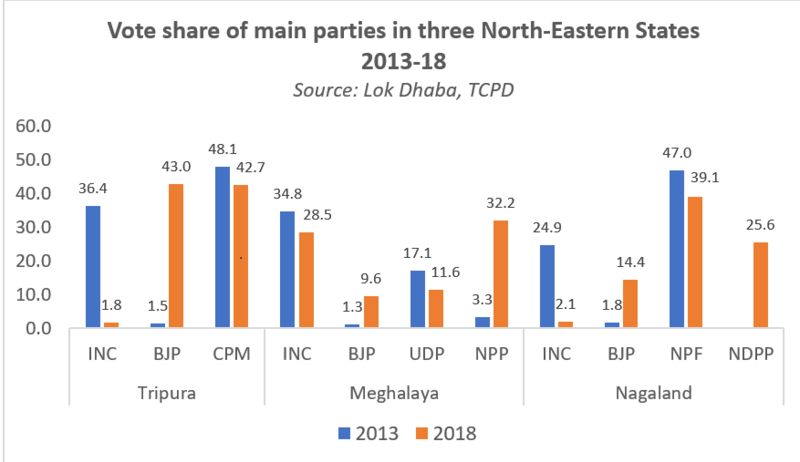 While the three north-eastern states concerned send only one representative each to the Lok Sabha, it is crucial for the BJP to show that it can still expand territorially. While they clearly won the elections in Tripura and Nagaland, the BJP succeeded in quickly cobbling together an anti-Congress alliance that succeeded in forming governments, despite the fact that the Congress had emerged as the first party in terms of votes and seats. In so doing, the BJP displayed the same ruthlessness that helped it to form governments in Goa and Manipur last year, despite the Congress being ahead. The Congress attempted to counter the move by dispatching senior leaders to sway independent MLAs and those from small parties to join them. They arrived too late. A third feature of the BJP campaign was the fact that they dropped their traditional ethno-religious mobilisation and focused instead on development (particularly infrastructure), opportunities, and the youth. They led a positive campaign that also reached out to Christians, who make up the vast majority of the population of these three states. 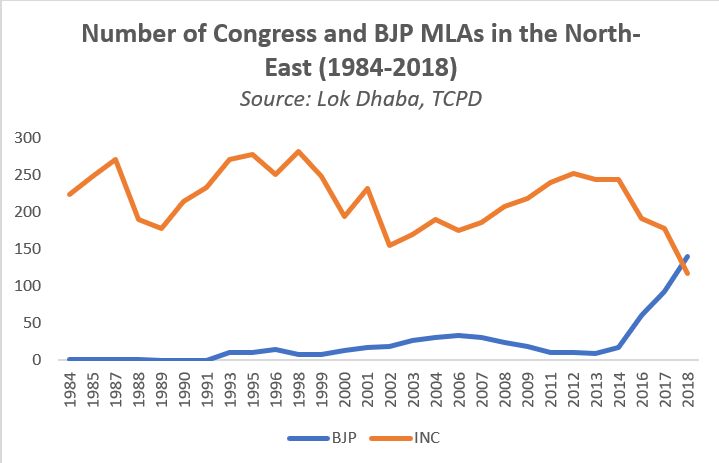 As a result, they progressed spectacularly and have surpassed the Congress for the first time, in terms of number of MLAs, across the North-East. A fourth feature is the ability of the BJP to poach cadres, candidates and incumbent MLAs from other parties. 15 percent of all candidates (963) had switched party affiliation before the election. 44 (out 145) went to the BJP and nearly half of them (20) won. This may not seem much, but they represent 42 per cent of the seats won by the BJP (20 out of 48), which is very significant. Turncoats bring to the party not only their name but also their supporters and local cadres, depleting the ranks of other parties. If the Congress’ desertion helped the BJP, the party also won thanks to their impressive organisation. The BJP campaign effectively started more than a year ago, ahead of everyone else. For the past year or so, senior BJP leaders literally camped in these states, holding rallies, building ties with politicians and small parties, building local networks and a ground organisation. Through comprehensive long-term media campaigns, the BJP saturated these states’ public sphere with their image, making other opposition parties invisible. This is a remarkable performance given the fact that two to three years earlier, the BJP had virtually no ground presence in these states. While symbols matter in politics, these three north-eastern states remain specks on India’s national electoral map. 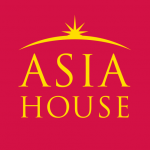 The specificities of the various political contexts in the North-East – their religious and social (tribal) composition, strong sentiments of detachment from the national community and a history of insurrectional movements – make them unlikely laboratories or precursor states for the incoming general election. Nevertheless, these elections have revealed the weakness of the opposition, in particular the Congress, which selectively fights against the BJP rather than systematically opposing it. Indeed, these elections have sent the message that the BJP can still expand beyond the limits of the Hindi belt by articulating a discourse focused on development, welfare and protection. The BJP is now in power in 18 states out of 30, which gives it more than a head start for the next national campaign. Gilles Verniers is assistant professor of Political Science and Co-Director of the Trivedi Centre for Political Data, Ashoka University. He tweets @gilkumar. The raw data used in this article is available at: http://lokdhaba.ashoka.edu.in/LokDhaba-Shiny/. Image Credit: CC by Wikimedia Commons.